Networking and Idea Sharing are keys to generating considered alternatives and there are a LOT of ideas about impacting people and performance when people start thinking together and sharing perspectives and support. My thought was to write about workplace applications of this idea. A couple of good email conversations got me moving again on this issue of Supervisor as Facilitator and how little downside there seems to be to that concept of them being idea encouragers or coaches. This is really a main part of their jobs, yet one where we do not seem to be supporting them with skill training or with tools. Who but the Supervisor can motivate the workers? Some of the training is off-target and irrelevant or totally boring, done by people with good intentions but who are not SMEs (subject matter experts) or who do not have hands-on experience in the issues (it would be like me doing time management training or sales training or teaching people how to speak English!). A lot of trainees either see little relevance of that training to their work or career or that the new things learned will not be supported in the workplace. Past experience can be tough to overcome. And the reality is that the work generally piles up when people are gone. And sometimes training might cause people to feel like they are being appraised and tested, or that they will be potentially embarrassed when trying to put those new behaviors into real play in their workplace. I think the phrase might be “fear of constructive criticism” or some such thing. And is it really a training need? Can they do it if you gave them $500 or put a gun to their head? So, are supervisors the trainers or simply the coaches and the people doing the followup to install the desired behaviors? 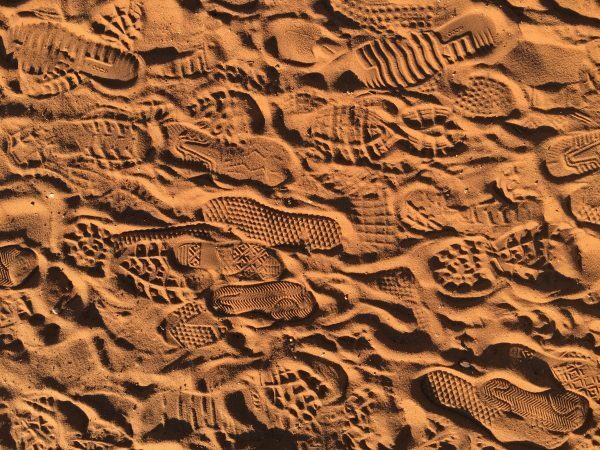 So, it should be obvious that supervisors should be trainers but also coaches and supporters, especially as training through LMS and smartphones becomes more and more the norm. 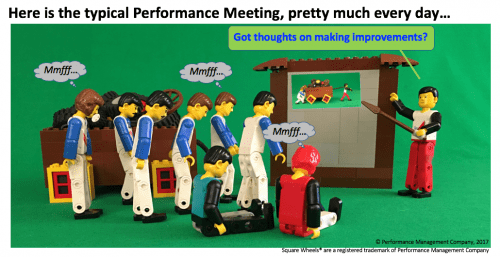 Supervisors should be mentors and performance coaches, supporting the small changes in behavior that result in more small changes in behavior, something we call incremental improvement (or reality!). 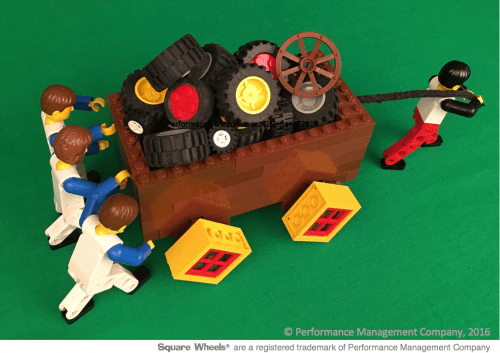 Who but the Supervisor can implement training? Supervisors can also address The Fear Factor that so commonly affects workers and workplaces. My colleague Dan Stones has addressed that here, for example. Fear is the Mindkiller, and supervisors are absolutely the best people to address those issues and impact their workplaces. We need to do things differently! But what about the fear within the supervisor for doing something differently? Who but their manager is going to support them as they try new things and do things differently? Human Resources? And who supports them if they make a mistake? So who is going to do this serious human resource development (training, facilitation and engagement) in the workplaces and what outcomes do we expect? What tasks and commitments do we remove or eliminate to free up the time to do the coaching and mentoring? What current systems and processes are we going to have to disrupt to make new behaviors appear both on the shop floor and among the management team? We can make the choices to really do things differently. Will We? Most of us workers can probably name names and share lots of personal experiences about having received that kind of “support” in our workplaces, where all that help was not able to change much of anything. Outsiders cannot help insiders very much because of organizational dynamics, regardless of good intentions. People are un-engaged, often actively so. What does it take to do some DIS-un-engagement? Not much, I think. Data says that people want to improve things. The manager should be the motivator, right? 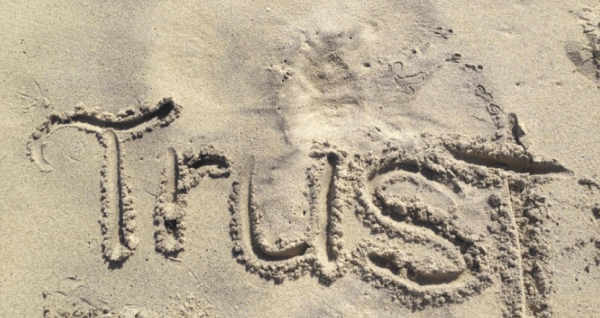 We do lots of surveys with the intentions of making improvements – those initiatives are generally always positive. HR wants to have positive impacts, managers want to improve results and Training and Development really does want to improve skills., dynamics of leadership, and impact collaboration. But it is simply the case that few things driven from the top will make much of a difference at the bottom. Why? It’s just basic human nature. Few people take good care of things that they do not own, and that same ownership applies to how they approach their jobs. Sure, if that rental car is completely trashed, they might clean it up a little so they are not embarrassed, but that does not translate to any kind of exceptional care. They would do things differently if they felt ownership. If people do not feel a sense of participative involvement, it should even surprise you that they do anything more than the minimum. So, what DO you do? Maybe it is to look for ways to do things from the bottoms-up. Maybe that supervisor can change the nature of how they actively involve people in their workplaces, asking for ideas for improvement or for better ways to collaborate or share information or resources. They become facilitators, they involve and actively engage and support innovation and chaos. There exists no proven process or designed formula for how to accomplish this; there are too many variables. But the simple, basic idea is that each supervisor take the responsibility for asking their people for workplace improvement ideas and facilitating discussions of possibilities. This generates ownership involvement and active participation. From those ideas, you then determine an approach or approaches to implement them, with the supervisor managing the resources of time and money and roadblocks and interdepartmental collaboration to allow the natural teams to generate some successes. How to move forward? Do some facilitation skills training and discover and clarify how the best-implemented programs of improvement were accomplished within your organization in the past, since those best practices are more likely to align with the culture and feel more comfortable to people. (It is also useful to look at the failures and find the features of those initiatives that made it unsuccessful.) Learn from your organization and repeat the successes / avoid the failures. I’ve been playing in organizational performance and people performance since 1978 with a degree in behavioral neuropsychology and I remain frustrated with how little progress has been made. We HAVE all the tools, but we do not seem able to get them into the hands of the people who need them most. Managers only manage, while supervisors supervise the actual work. It is the supervisors who need to understand the corporate goals and then have the ability to align the behavior of their workers to those goals and objectives. Why is all this so hard? Why can’t we just ask for ideas and involve people in the improvements that they already want to make? 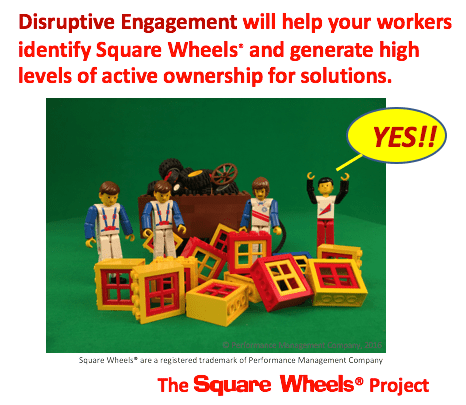 The Square Wheels Project is our newest attempt to put practical and effective tools into the hands of the supervisor so that they can involve and engage their people in the improvements that are possible. We have an online course in facilitation that includes powerpoints and handouts as well as a focus on teaching the skills. Take a look at the opening page of the 30-minute course and see if something like this might work for you or someone you know. Consider trying the course as a pair of people to support each others’ learning and understanding and initial trials at generating impacts and conversations. Reading a review by Ted Kinni on Kim Scott’s book, Radical Candor, pushed me to publish this short post on impacting workplace performance through conversation and engagement. Her book is well grounded in the nightmare of many typical workplaces and how a lack of good conversations causes such harm. To deliver that radical candor, a manager must care personally and challenge directly; it is about giving a damn and caring about impacts. It is about coaching for improved workplace performance and sharing observations and feedback. And this meshes with my thinking in other posts about the issues around issues of personal accountability and action (see “If not you, WHO? If not now, WHEN?“ here). People need to step up, and this needs to happen at the worker / manager interface, not just at some middle-management level or by one of the executives. The real work of involvement and motivation and performance improvement gets done at the bottom of the organization, not from some tops-down kind of communication. And a failure to execute at the bottom will not be corrected with another million dollars spent on some organizational attitude survey. The real work gets done at the bottom of the organization, face to face, and not tops-down. Tops-down, Big Corporate Solutions simply do not work to improve much. Sure, for implementing radical organization-wide changes, some percentage of tops-down strategy improvement initiatives are eventually successful (maybe 40% after 3 years of focus). 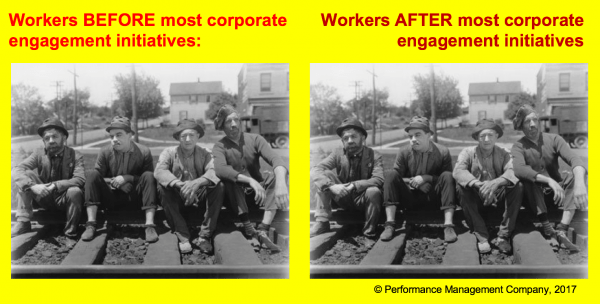 But with my 34 years in the people and performance business, nothing seems to have worked over the years in actually improving active involvement and engagement of the front-line workers, who continue to be about 1/3 engaged. And this after corporations have spent billions on surveys and other tops-down tools and consultants and messaging. What is needed is some chaos. What is needed is some Disruptive Engagement* at the front lines. Why not allow the people who know what they could be doing differently to involve themselves in conversations with their manager about issues and opportunities. Sure, some of those ideas might clang, or they might need some support from other departments or above to implement. But if we are not looking for solutions or challenging the way we are doing things, we are simply dying a slow death, one that makes a workplace an insufferable environment and one that stifles innovation and creativity. Let people’s ideas count for something! 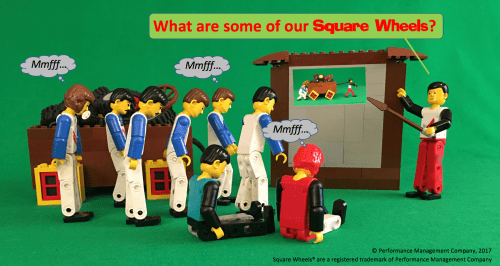 The Round Wheels are already in the wagon! So, encourage your managers and those around you to have some candid conversations around issues and opportunities. Let people suggest ideas for improvement. ALLOW them to be more involved and to work together to make things better, even though there may be some disruption of existing systems and processes. You can find some simple tools and elegant instruction at The Square Wheels Project. 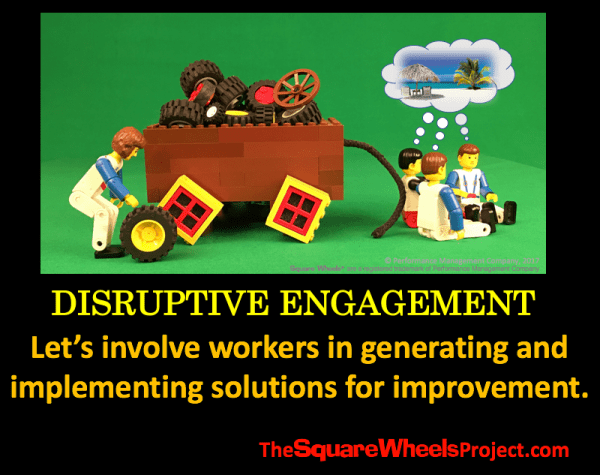 * Disruptive Engagement can be loosely defined as allowing people to take a look at the issues and opportunities for identifying and implementing ideas for workplace improvement done at the very bottom of an organization, without the “helpful” control systems of HR or T&D or other more senior, bureaucratic groups. It is somewhat analogous to Disruptive Innovation.